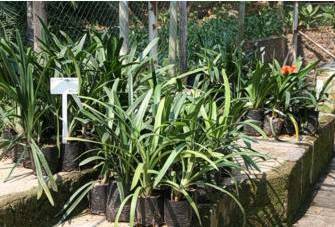 The Lowveld National Botanical Garden sells its excess stock at this nursery. The nursery is located at Entrance 2. All plants available for sale can be found here. These include cycads, bulbous and succulent plants. The plants are very reasonably priced. The nursery operates during the Garden’s opening hours. Request for plants not found in the nursery, should be left with the staff member at the entrance, with contact details. The Garden will make the contact should the plants be available at a later stage.